Are you looking for interesting places to visit in Saudi Arabia? Dammam is capital of Saudi Arabia’s Eastern Province. Saudi arabia's Dammam is popular for its seaside view, desert camel riding, heritage village, coral island fishing and etc. You can find these activites at best places and popular destinations of dammam. For you to make your stay in Dammam worthwhile here are some of the things that you need to include in your to-do list. 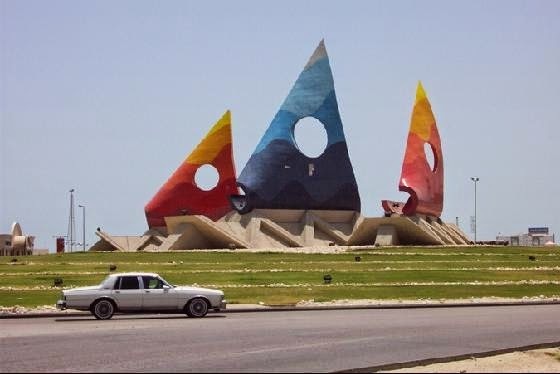 Visit this best places of attractions in dammam. To gain a rich understanding of Dammam’s history, head down to the Museum of Archaeology and Ethnography. Housed by the Public Library, the museum is home to an extensive collection of exhibits that illustrate the regions unique culture. Exhibition halls showcase a wonderful array of traditional costumes, Bedouin craftwork and Islamic ceramics. This is popular destination for tourists. Situated in the outskirts of Dammam is a huge expanse of sandy desert. However, this barren and desolate land is home to a lot of camels. There are many tours in Dammam that offer you a chance to ride the backs of these majestic desert animals for only a few dollars. You have to be very careful though, as camels can be feisty and can throw you easily off their backs. Visitors can take a break from the hustle and bustle of the city centre and slip into the shade of King Fahd Park. One of Dammam’s most popular spots, the park sprawls across a whopping 67 acres of land and is lushly landscaped with a wonderful display of trees and plant life. Cool evenings can be spent taking a gentle stroll, and when peckish, picnicking by the edge of an ornamental lagoon. The best place to see antique stuffs and old architecture is the heritage village. The heritage village stands like a solid fortress, offering a wide collection of antique jewelry, old photos, ancient weapons and others. This will give you a glimpse of how the people from Dammam lived their lives throughout the ages. Basically, the heritage village has everything that you need to know in Dammam. The best place to go fishing in Dammam is the Coral Island. This is an island tourist destination which is 1,800 meters away from Corniche. This place has a lighthouse and offers boating facilities for amateur sports fishing activity or you can just cast your line at the shore of the island where you are guaranteed to catch small-sized to average-sized fish using bait like cuttlefish and shrimp. Damman’s delightful Corniche has fast become a top spot for locals and tourists alike. This seemingly endless stretch of waterfront has been fabulously landscaped and adorned with a number of vibrant art installations. Best explored on foot or by bike, the area offers dedicated sports sections, plenty of places to snack and best of all, unrivalled panoramic views of the captivating coastline.